Dee Stewart, co-founder of Twitter's Black Lit Chat and author of the Angel Crawford Series (as Miranda Parker), passed away last week. Dee was a sweet soul filled with kindness and good humor. I enjoyed getting to know her some over the years. Mostly online, but I was fortunate enough to meet her last year at the National Book Club Conference in Atlanta. I'm very saddened by her loss and send my condolences to her daughter and the rest of her family. I hope when they are able, they will read the many tributes on Dee's Facebook page and on blogs to see how much she meant as a writer and an advocate for writers and as a person to so many people. Sadly, I never did a "Meet Miranda Parker" interview here, but here's a good one on the Reads For Pleasure blog. Dee did write a blog post for this blog on her favorite romance novels. Fresh ARCs! Get your fresh, hot ARCs! NOTE: THIS CONTEST IS CLOSED. And the winners are...Anonymous, who gets FREEMAN; Carla, who gets THE MAN WHO TURNED BOTH CHEEKS; Stacy Michelle, who gets SOUTH BY SOUTHWEST; and Tea, who gets BEAUTIFUL, DIRTY, RICH. Winners, please email me your mailing addresses (carleenbrice AT gmail DOT com). ARCs are advanced readers' copies, and I've received 4 recently from publishers that I want to pass along. So before 10 p.m. MDT Monday, July 9th leave a comment on this post. Tell us the title of a good book you just read or what you're looking forward to reading next and which of the 4 books (Beautiful, Dirty, Rich; Freeman; South by Southeast; or The Man Who Turned Both Cheeks) that you'd like to win. I'll pick names at random using Random.org. Beautiful, Dirty, Rich by J.D. Mason. On sale tomorrow, July 2nd! First in a new series about Blink, Texas, a tiny town with lots of secrets. If you're psyched because "Dallas" is back on the air, you should know the Ewings have got nothing on Mason's Gatewood clan! From RT Book Reviews: "This is a captivating story with so many twists and turns that readers may feel dizzy. The clues to Desi's mystery are as intriguing as the characters, who all hide deep secrets. Readers will find this one hard to put down." Freeman by Leonard Pitts, Jr. In stores now! Django Unchained isn't the only story about a former slave on a search to find the love of his life. See post with a Q&A with Pitts here. South by Southeast by Tananarive Due and Steven Barnes (presented by Blair Underwood). The fourth in the Tennyson Hardwick mystery series is due out in September. If hearing that it could be could be described "as Walter Mosley’s Easy Rawlins meets Miami Vice" doesn't make you want to buy the book, just watch the video below. Perhaps something about it will get your attention. 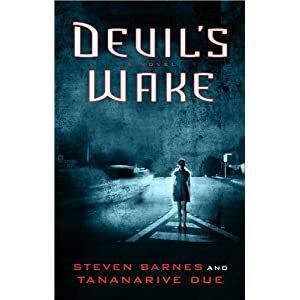 :) Remember, Barnes and Due also have their zombie novel The Devil's Wake out at the end of this month! The Man Who Turned Both Cheeks, second in a series by Gillian Royes. This one isn't out until December. Talk about getting an early sneak peek! From the publisher: "Jamaica is the picturesque background for this explosive novel about love, fear, and intolerance, the second in Gillian Royes’s mystery series featuring charming and charismatic bartender-turned-detective Shad. Hopes for the impoverished village of Largo Bay come alive with the arrival of Joseph, estranged son of bar owner Eric. Janna, who has returned to the island, falls for Joseph’s good looks and charm, but she isn’t the only one with an eye for this mysterious man. As questions about Joseph’s sexuality arise, Shad struggles with protecting the survival of his beloved birthplace amidst the deeply ingrained culture of intolerance that surrounds him. Questions arise about what it means to be a man and a father, and Shad feels pressure to defend what he knows is right. As in the acclaimed The Goat Woman of Largo Bay, the first book in this series, Gillian Royes paints an indelible picture of a beautiful land where religion is strong but life is cheap, and explores what happens when a village must confront its own darkness or lose a bright future." The Go On Girl Book Club has posted a list of the books they're reading between now and the end of the year. Check it out. Maybe you'll see something you like! In other news, The Bat Segundo Show has some new author podcasts up you might want to check out, including talks with Samuel R. Delany, author of Through the Valley of the Nest of Spiders, and Jesymn Ward, author of Salvage the Bones. Note to readers: Full disclosure: I know J.D. Mason, Tananarive Due and Steven Barnes. Agate Bolden, publisher of Freeman, will also publish a writing book by me tentatively titled The Not So Fearless Writer. However, I never post about books that I don't believe in. Even if a book is not my particular cup of tea, people who like the genre or type of book may like it and I enjoy letting readers know it's out there. Note: This has details about how to make a donation in Erica's honor, per her family's request. Erica Kennedy, author of Bling and Feminista, died last week. There are several moving tributes and remembrances of her as a friend and writer of social commentary and articles. Here, I wanted to remember her as an author with a re-post of the Q&A she did here on this blog and a tribute from Doret at The Happy Nappy Bookseller blog. "I tackle most things with humor and that's how I think of myself: as a humorist. Sometimes I think that comes out of the fact that I had a very dysfunctional childhood and I have suffered from depression so it's a 'tears of a clown' thing. You need to find the humor in everything just to survive. Like if I were ever to write an Augusten Burroughs-style memoir of dysfunction -- and I could -- it would still be funny like his always are." But overall, I found her answers to be funny, wickedly smart and full of energy and ideas and wanted more people to read them. For example, check out this almost throw-away analysis of Beyonce and Jay-Z that could literally have sparked a magazine article, PhD thesis or a nonfiction book or novel. "I think everyone loves Beyonce, this global superstar who literally has it all at 27, because she always takes the 'I'm so blessed just to be here' road and shunts all of her aggression and ambition off on an ALTER EGO. I swear I could write a whole DISSERTATION on the meaning of Sasha Fierce which is at once totally brilliant and totally terrifying that you have to go to that extent to be wildly successful and still be liked if you are a woman. Meanwhile, her husband, the former drug dealer who once shot his brother, stabbed a record executive, brags endlessly, like all male rappers, about how much dough he makes, can let everyone know exactly who he is. The difference in what they each had to do to get and maintain their success is ASTOUNDING." I thought it fitting for my tribute to be to let Erica's own words about the meaning of her work honor her. When I go, I know that part of what I will leave behind is my words. I hope they represent me as well as Erica's do her. May she rest in peace. And let's not forget the novels themselves! Doret certainly hasn't and doesn't want you to either. She so strongly wants us to remember that she's giving away 2 copies of Feminista. To be entered to win, leave a comment on this blog post. This contest is open until 7 p.m. Eastern Friday, June 22, 2012. I'll pick winners at random. You must live in the lower 48 United States to be eligible. On June 16th, I was having a very nice uneventful Saturday. The weather was good. I spent a few hours at Cozee Tea, a new Black-owned tea shop in Decatur, GA, and got some reading in. While I was enjoying my day, news of author Erica Kennedy's death was quickly making its way around twitter. Since I don't have a twitter account, I was blissfully unaware until a friend emailed the news. It took a moment for the news to sink in, and when it did I wish it hadn't. I haven't been this upset about an author's death since Bebe Campbell Moore and Octavia Butler died in 2006. Kennedy only published two novels, Bling and Feminista, however anyone who has read either will attest to her talent. Especially Feminista, which showed growth, range and added some much needed depth to the chick lit genre. If we lived in a world that fully embraced talented Black women writers, Feminista would've gotten the recognition it deserved. After said praise, Kennedy would've received a well-earned new book deal. I should be anticipating Kennedy's next novel but now there is no next. That cannot be undone, but what can be done is to read what we have. Artists live on through their work and I like to believe that they know when their work is loved even after they left us. Wherever the after is, I like to believe that writers are touched that the words they've left behind are remembered and still move us in some way. So one day I will reread Bling and Feminista, but not anytime soon. When I am strong enough to immerse myself in one of Kennedy's novels again, I will say a silent prayer for the author, and send her my thanks for giving the world two novels that make laughter so easy. 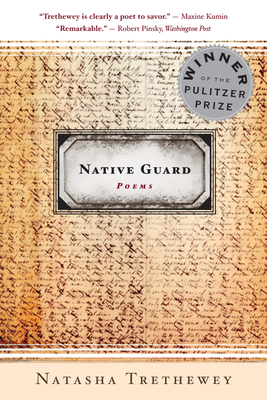 Congratulations to Natasha Trethewey who will be named our new poet laureate today! Watch the video below to hear in her own words what motivates her to write. It's been a while since I've done a blog post about the state of things regarding race and publishing. The reality makes me tired and I'm busy and can't afford to be tired. It can make me depressed and I sure can't afford to get depressed. Plus, I feel like I've said what I had to say on the subject. Fortunately, there are others not so tired. For example, Roxane Gay decided to take a look at race and book reviews, specifically at The New York Times. The analysis reveals what most of the readers of this blog probably suspect. The Times, they are not really changin' so much. "The numbers are grim. Nearly 90% of the books reviewed by The New York Times are written by white writers. That is not even remotely reflective of the racial makeup of this country, where 72% of the population, according to the 2010 census, is white. We know that far more than 81 books were published by writers of color in 2011. You don’t really need other datasets to see this rather glaring imbalance." Hopefully these numbers will encourage review outlets to be more inclusive in reviewing books—considering race, gender and let us not forget sexuality or other brands of difference—rather than treating diversity as a compartmentalized issue where we can only focus on one kind of inequity at a time. Such mindfulness is important. If we want to encourage people to be better, broader readers, that effort starts by giving readers a better, broader selection of books to choose from. But go read the whole thing. Look at the pie chart. The sad, sad pie chart. Like Gay, I sure don't pretend to have all the answers, but clearly one is to shed light on the situation as Gay does here. In related news author Jennifer Weiner (mentioned in Gay's article) shouted out this blog at BEA this week and posted her speech on her blog.